Thank you for visiting FilsonFan.com…a place to share real-world images and product reviews of the luggage and bags made by the CC Filson Co of Seattle, Washington. 1) As my collection has grown, I realized that many people were unaware of CC Filson and its rich history and that there were not many helpful, independent reviews online. One of my goals for this site is to share my enthusiasm for the Filson brand and also to help people choose the bag that is the best fit for their needs. My reviews will highlight the pros/cons of each piece, include lots of pictures and also offer comparisons between similar pieces (256 vs 257). Disclaimer: this site is not affiliated nor endorsed by CC Filson Co of Seattle, WA. It is a privately owned blog and the opinions expressed here are mine and mine alone. As always, great stuff. I was wondering if maybe one day you’d want to do a demo of the medium travel bag, and just how much it can fit. I’m looking for a travel bag, but still unsure on how much it can hold.Even if you dont want to do a write-up, Id just like to see some pictures. Thans, and keep up the great work! Thanks for your comment! That is a great idea for a future post. I have two of the Medium Travel Bags and they are some of my favorite bags in the Filson lineup. It is really the perfect carry-on size and with the 6 pockets (2 inside; 4 outside) the bag has plenty of room to organize all of your travel gear. I will take some additional pics for you and post them soon. Thanks for reading. 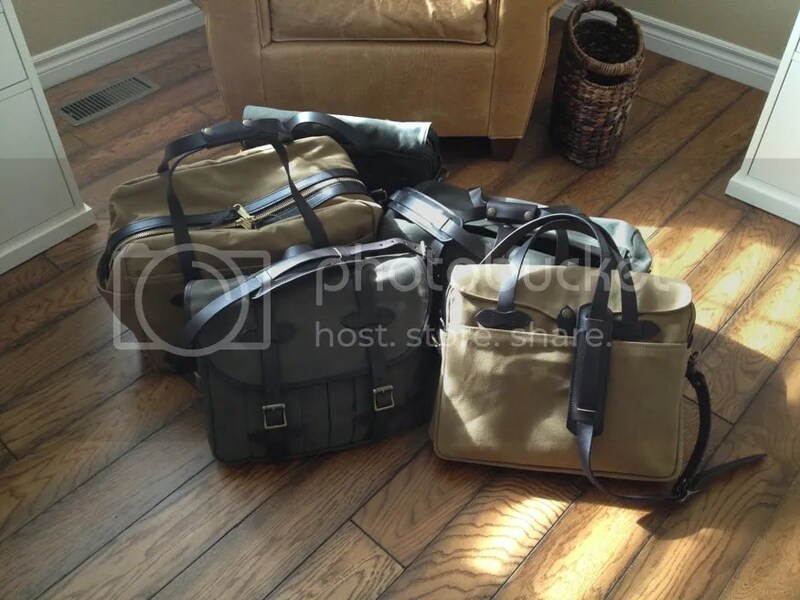 Which filson would you use to carry a DSLR – I already own an insert for bags to carry my camera but I wanted to carry a camera bag that didn’t look like a camera bag and also which one would handle the weight. Hi Joyce, thank you for your question. I would recommend the Medium Field Bag #232 for a small/medium amount of camera equipment, or if you need more space, the Sportsman’s Bag #266 would accommodate a lot of gear and also includes two generously-sized exterior compartments with built in organization. Both are great open-concept bags that would allow you to customize them with the dividers/inserts that you already have. I hope that helps. Thanks for visiting FilsonFan! A tremendous thank you from this first-time purchaser. I’m commenting on your first post having worked through this blog backwards, and I must say you have done an excellent job of answering EVERY question I had, and with wonderful detail and beautiful photos as well. I wanted to know whether to go with the standard or the larger computer bag: question answered! Tan vs Otter green? Answered! Thanks for taking the time. Your work is exemplary. Hi Stephen, thanks so much for the kind words…I truly appreciate it. 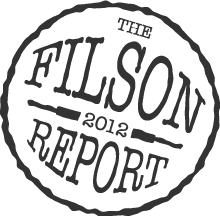 When I started FilsonFan.com, I structured the site to answer all of the questions that I had when I was first getting into Filson. It was very hard to find good reviews online, so I used that knowledge gap as the foundation for this site. I am thrilled that you found it so helpful during your decision-making process. Thanks again and stay tuned for more content and images coming soon! Thanks again and keep going on!! Thanks for visiting the site, Fabian! I think that the Otter Green 256 is a fantastic choice (and it is my favorite briefcase combination)! In fact, my Otter Green 256 is sitting right next to me as I write this post. As I said in my comparison review, I find the 257 to be a little large for daily use and unless you are a student or haul tons of gear around all the time, the 256 is the best choice for most people. I will also keep your info on file and bbe sure to let you know the next time I have some bags for sale. Was thinking of waxing my roller bag. Now that I see the possible end results, I think I will leave it aging on it’s own. Most people in airports say that it looks like India Jones! Thanks for all the great Filson information.